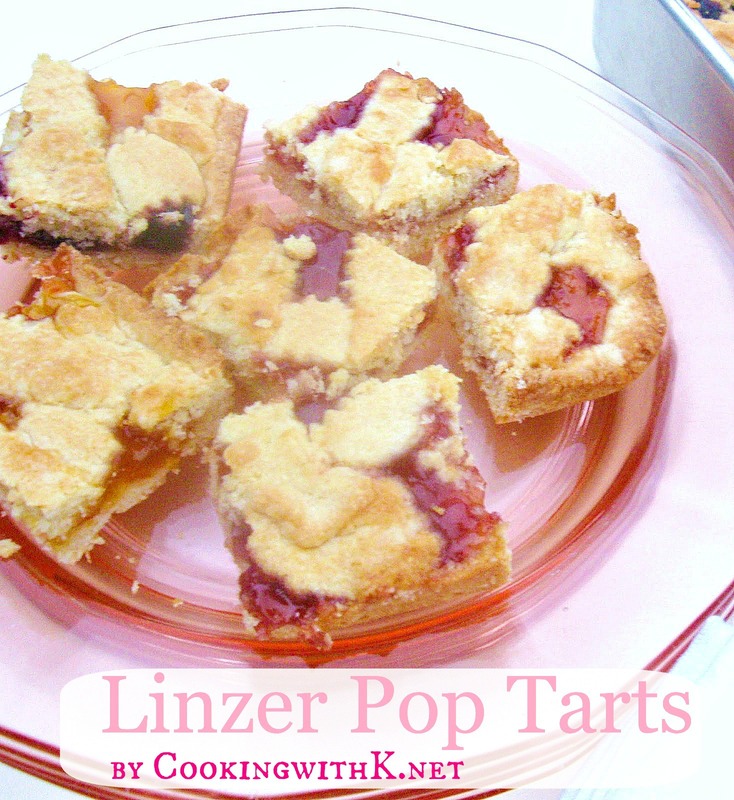 Christmas and special occasions, these Linzer Pop Tarts are on our Brunch table. Before my children married, I would make them as a pastry, somewhat like a cookie. And then we began to enjoy them more warm out of the oven. That is when I started making them for our Christmas Brunch. You might say they evolved into a pop tart. As it probably happens to other bloggers on Christmas morning, I never get to get any food pictures for my blog, because we eat them up so fast. I actually made these at 5:30 in the morning a few weeks ago for my daughter to take to her Moms Group. As soon as the sun came up, I started taking pictures. It was so hard not eating some as soon as they came out of the oven. That is what is so good about this recipe….you can eat them any time for any occasion. In a large bowl, stir together flour, sugar and baking powder. Cut in butter till mixture resembles pea size crumbs. In a small bowl, whisk together eggs, milk and vanilla; add to dry ingredients and mix well. Turn dough out on a slightly floured surface; pull dough together in a ball without working it too much. Reserve 1/3 of the dough and place in refrigerator. On slightly floured surface, roll remaining dough to 15 x 10" rectangle. Lift dough and place in a 14.5" x 10 rectangle baking pan. (You can slightly roll dough and place in a baking dish and pat dough to fit pan). Spread blackberry jam on a third of the dough; spread apricot jam on the next third of the dough; and spread strawberry jam on the last third of the dough. Roll remaining dough to 12 x 10 rectangle. Cut 1/2" wide strips. Carefully arrange strips into lattice top diagonally over jam dough. Bake for 15-20 minutes or until dough is golden brown. Mmmm, I'm craving a little something sweet right now. Those tarts look great! I love that your guests can get a choice...or one of each!!! They look SO good. Thanks for sharing. oh those look and sound way better than any pop tart out there. Wow, I must try these! Thanks Kay. so very pretty - love the look of these. they look delicious...and so pretty! These look fantastic, and so much better than most of the "pop tarts" you see out there, will definitely be making these. Yum! They look delicious and I SOOO LOVE the assortment of colors/flavors....sooo inviting! 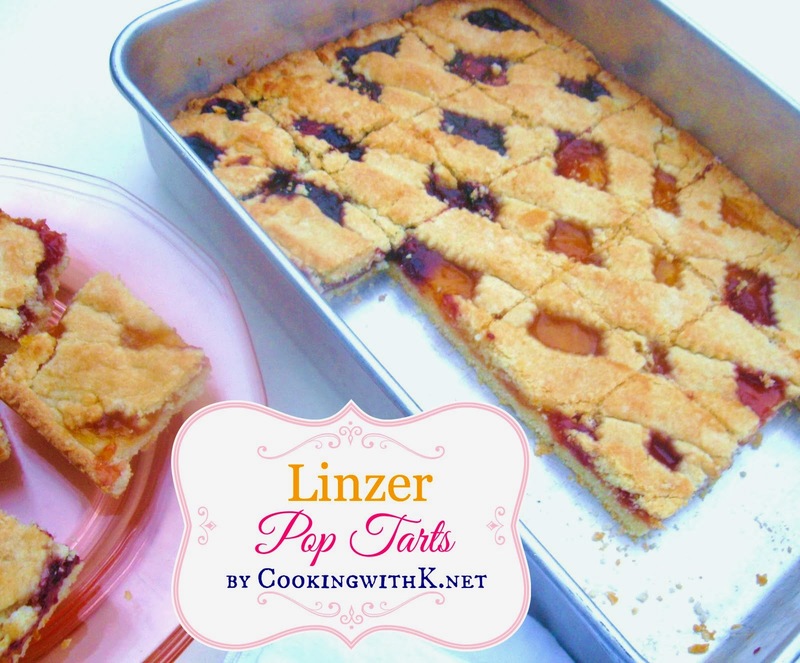 Mmmm that looks wonderful, I just love Linzer tarts! And I really like the idea of using three different kinds of jam, I always just use one, but this is a great idea! I love all the different jams in these homemade pop tarts. Thanks for sharing on Saturday Dishes. I pinned them. These looks so good. I have a friend looking for a pop tart recipe, I will send her your way. Thanks for sharing at Saturday Dishes. 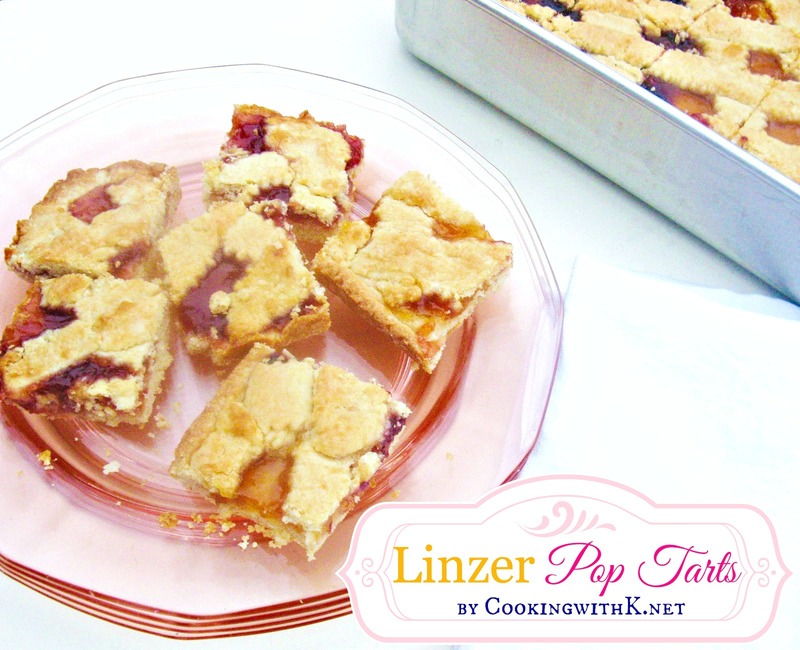 Kerry ~ thank you so much for stopping by….these are the perfect ones to make!